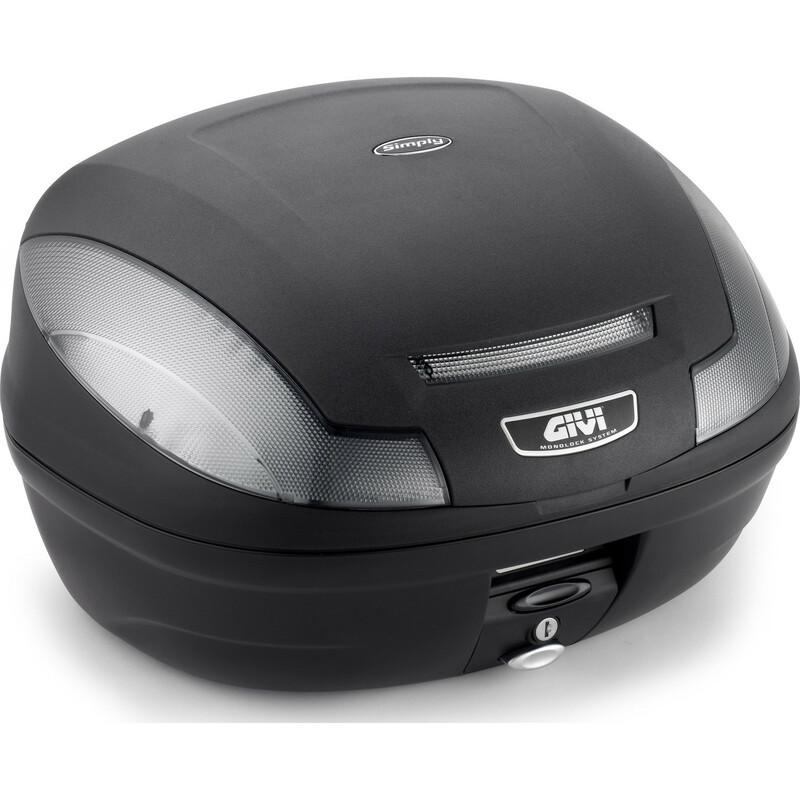 The Givi E470 Simply III Tech Monolock Topcase 47L (E470NT) is part of the latest Givi collection. A 47-litre topcase with smoked reflectors and Monolock fixing system. 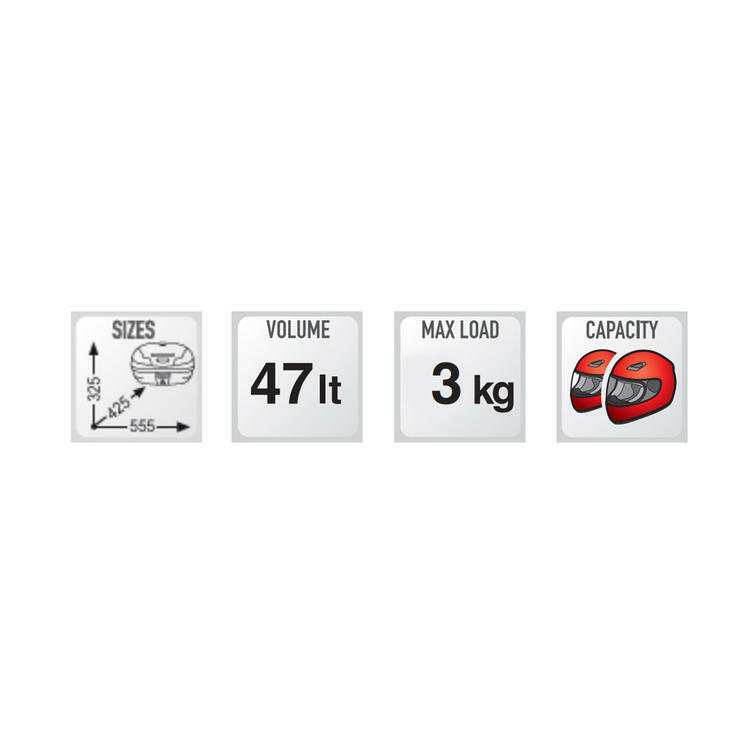 Universal fitting kit and mounting plate are included.